ha. very true. you go deer hunting within an 8 hour drive of population and orange-dressed deer hunters gladly shoot other orange-dressed deer hunters thinking somehow that was a deer! Looks like you have boys with toys dressed in orange playing in the woods over there.Whilst over here we take a much more sensible approach to hunting. 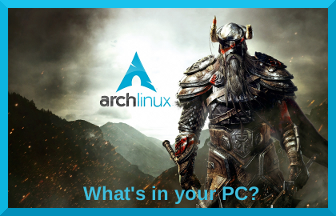 OK, good point. A skilled hunter with a scope- sighted, high power rifle can take deer by stalking. We have such hunters in America, and I daresay a lot of them are probably pretty good at it and hunt safely. They bag some big deer that live in more mountainous areas. But anyway, we have a lot of amateurs over here and every year you hear about stupid hunting accidents. I would be cognizant of the dates of hunting season and stay out of the forest, personally. Over here, a lot of deer are taken by ambush. As I say, tree stands are very popular. A well- sited stand can be very productive for hunters looking to salt away a little venison. BTW some of those guys do it for sport and they donate the meat to worthy causes- people who are down on their luck financially and can benefit from such a windfall. Hey, anyone who is under trained and not fully qualified can be very dangerous with a hunting weapon. Here we had a famous case where a sitting US Vice President accidentally shot a member of his hunting party. Yikes! We have no hunting allowed around where I live. The population is too dense. But we do have organized deer hunts in a local park in the fall I think. The park is closed during that brief hunt, probably a week or less. They must qualify before being issued a permit, and they are only allowed to shoot large solid slugs from the barrels of shotguns which are rifled. They may shoot only from tree stands, i.e. they are basically aiming down. Their accuracy is pretty good. And a shotgun slug is not going very far, unlike a high powered rifle round which can cause unintended fatalities a mile or two away... Rifle hunters have to be good, and they have to exercise a whole lot of thought, consideration, and common sense when making the decision as to whether or not to take any particular shot. On Topic Comment: Deer are very destructive of ornamental plants and food crops but cannot be safely hunted in a large percentage of their range. Consequently, the deer population is completely out of control here, and they are very destructive pests indeed. Edited by Cluttermagnet, 27 July 2014 - 09:14 PM. am quite reluctant to call tree stands, hunting. often, for most of the year, the hunter, for lack of a better word, piles corn up so the deer congregate about it. so, they end up with a 25 yard shot. wow. 25 yards. to give you non shooters an idea, 25 yards is pistol distance. 100 yards is standing up with a rifle using iron sites - any decent rifle shooter can do that all day. and 300 yards sitting or laying down with iron sites is no biggie. so, i say again, am hesitant to call tree stand sitters, hunters. they're baiters, and masters at that. True story--about 40 years ago, someone with about 5 dairy cows on property near my former husband's grandfather's posted property had a bullet whistle by his head during hunting season. He was so steamed he actually ran into the woods and confronted two scared hunters, screaming at them "Does my black and white cow look like a d***** deer to you?" Inept hunters are dangerous. Edited by ebrke, 28 July 2014 - 01:24 AM. Yep, so true. Hair raising story for sure! Cluttermagnet I was partly joshing and partly serious. Over here we have strict gun laws which tend to keep guns out of the hands of numpties, we also have fairly rigid land rights with very few areas of open access for hunting. As to deer population we have schemes in place where the deer are culled by professionals humanely and selectivly to keep the deer population stable. This allows us to enjoy the deer in the wild and the deer to have a decent life. Here are some day lilies growing under the oak tree. Transplanted them two years ago and this is the first time they have flowered. Red splashes are crocosimia Lucifers(4to5foot high). This plant should be 5 to 6 foot tall but it got battered by the storms and is growing slightly twisted and deformed.This is a new part of the garden I extended last back end so is not fully populated with plants yet. I try to grow perinials due to me knackered legs. The badly eaten stalks between the holly and the plant are Solomons Seal and they have finished flowering and are very roughly tied back. The last picture is taken from the hill looking down on chez barbarians.Can you spot the kitten ?? yes, it often takes this year for the plants to overcome the shock of being moved, and it's the next before they produce fruit or flowers. I can't get over what a lovely setting you have there. My stereotypical impression of the average home over there is the crowded village setting with tiny gardens out back. I have been amazed at what the British ham radio guys can do, antenna wise, with such tiny antenna fields- er- gardens. You, my friend, appear to live north of the city limits a ways. Nice! Ah ha you could not describe my accommodation as typical, either for normal folk, or for poor unemployed folk like myself. Even though I live in a battered wooden box with a tin roof you could say I was living in state of semi luxury in an almost paradisical setting. It all depends on how you view luxury and paradise. 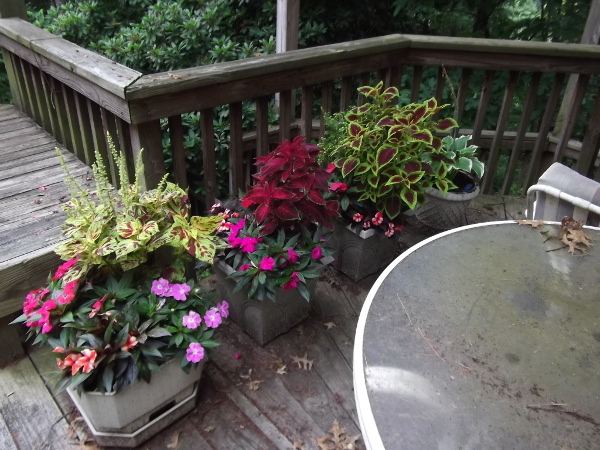 This is a mix of New Guinea Impatiens, Coleus (the bigger plants), and a Hosta in the pot at the end. save all the bulbs from last year. Simply planted them kind of late and they mostly all came up. insulated with styrofoam all around, and has been very good at allowing this tree to overwinter. Edited by Cluttermagnet, 19 July 2015 - 02:10 PM. Super show there mate, very colour full. There are some Tiger lillies in the garden and the usual crop of spring flowering bulbs. There is'nt one single apple on the two trees this year .Only saw one bee this year . The cherry gooseberry and blackcurrants all OK.But I have never seen the walnut trees so heavily laden. 50 miles NNW of me captn'. this season. 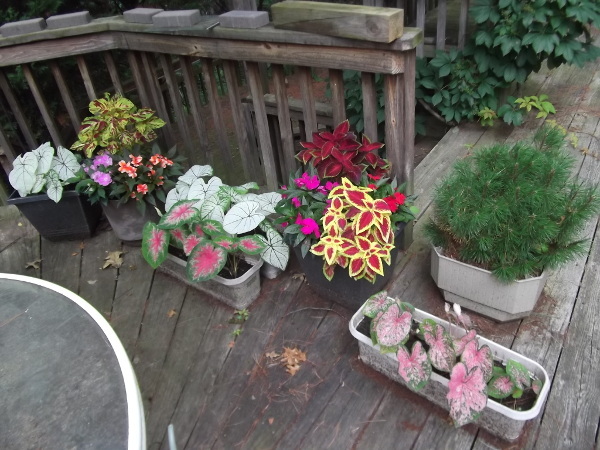 I think I'll bring in all the planters with the Caladiums. Edited by Cluttermagnet, 18 October 2015 - 11:30 AM. Frost possible last night, tonight, and tomorrow night. Apparently it didn't get quite that cold last night. Tonight is forecast to be in the 20's. My 2nd bloom white Iris is still looking good. The plant ended up producing 4 or 5 iris. My dad used to overwinter daliah tubers in wooden boxes filled with fine dry sand and kept out in a cold store. The sand has to be bone dry about four inches below and above the tubers and he had a loose cover on the boxes. My aunt used to keep them in a cool dry place in the basement. i thought basements by definition were cool, damp places?